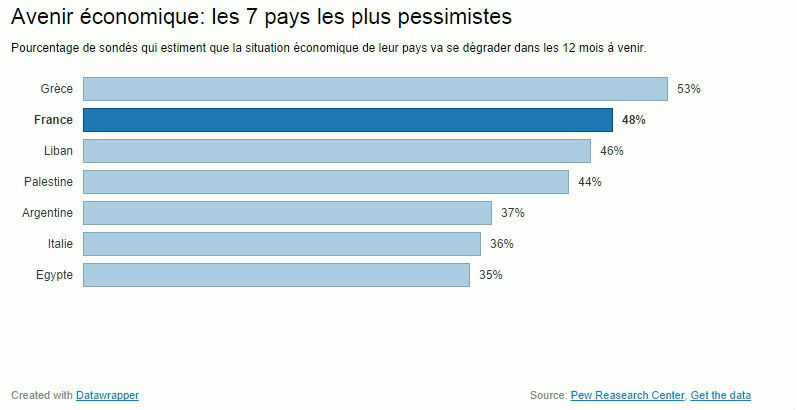 I was reading on Liberation that the French are more pessimistic about their economic future than Palestinians, then I noticed Lebanese feel the same. There’s no doubt that the economic situation is bad in Lebanon, but I doubt that it is worse than Palestine. The countries that are most optimistic about their future economic situation are China, Peru, Vietnam, Senegal, Nigeria, India and Colombia. Check out the full study [Here]. Here’s why we think it’s worse than that of Palestine’s. We are not officially at a state of war like Palestine is with Israel. Still, the difference is a mere 2%. 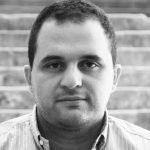 Lebanon could do so much better in terms of its economy, but there are several factors that hold it down, and we all know what they are. That said, sitting and doing nothing but complaining won’t help. Weird the Greeks are thinking this way knowing that their latest economic quarter showed growth for the first time since the crisis. I think this is affected by the time the study was made.